Christmas may be the most wonderful time of the year, as the old song goes, but it also is the most wasteful time of the year. More trash is generated during the weeks between Thanksgiving and New Year's Day than any other time of the year. Don't add to it by throwing away all those Christmas cards you received. Sure, you could toss the cards into the recycling bin after the holidays are over, but many are just too pretty to set out at the curb. Instead, save them for next year to use in a variety of Christmas craft projects. Here are three great ways to make good use of all your old holiday greeting cards. 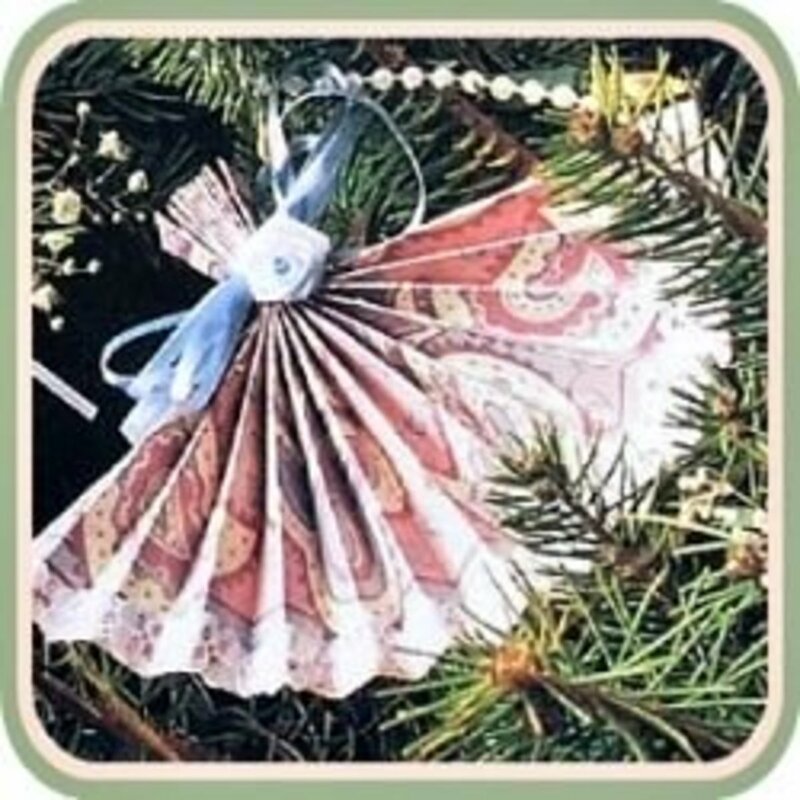 There are many creative ways to use recycled Christmas cards to make unique ornaments for the tree. Here are a few easy ideas to get you started. 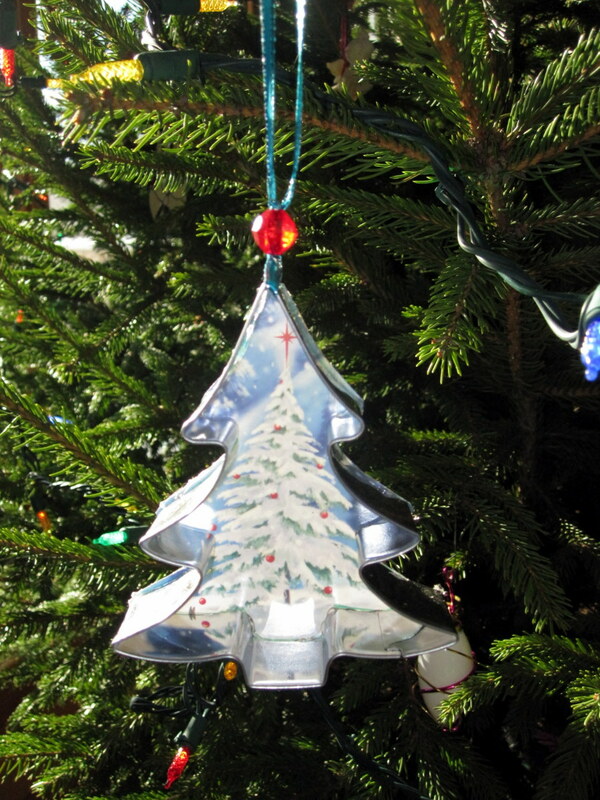 Old Christmas cards can be cut and folded into a variety of three-dimensional shapes that make great ornaments. Ornamental balls (pictured above): Cut 20 circles out of coordinating cards and glue them together to create large or small balls.Hang them from the tree or fill a pretty bowl full of them for a unique centerpiece. Click here for instructions. Star ornaments (see tutorial below): Fill the tree with these gorgeous paper stars or use one as a tree topper. These cute ornaments are a great way to use old cookie cutters, too. (If you don't have cookie cutters to use, old canning rings work just as well.) Trace around a cookie cutter on the desired area of a card. Cut out the shape. Use a hot glue gun or craft glue to adhere the cutout to the back of the cookie cutter, leaving a small opening at the top for a ribbon. Thread a 8-inch length of narrow ribbon or cord through the opening and tie a knot at the top of the cookie cutter. Thread both ends of the ribbon through a bead, then tie another knot to secure the bead at the top of the ornament. Tie the ends of the ribbon together for hanging. For a fun gift idea, use a photo greeting card and give a personalized ornament to the person who sent you the card. There's no need to spend money on store-bought gift tags when you can easily make your own unique tags using old greeting cards. 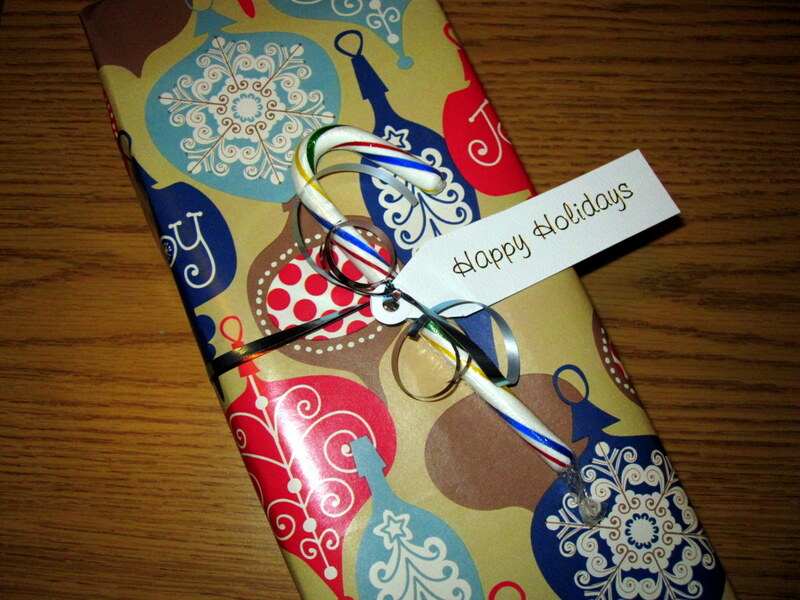 Simply cut the desired design or shape from an old card, and use a paper punch to make a hole for a ribbon. Reinforce the hole with a self-adhesive reinforcement label to prevent tearing. On the back of the tag, add the to/from information. Secure the tag to the package with a ribbon. Your friends and family will love receiving these adorable origami gift boxes. Make them with any rectangular-shaped greeting card. You will need both the front and back of the card so nothing is wasted. The boxes are perfect for stocking stuffers, for packaging small presents like handmade jewelry, or to add a personal touch to gifts of cash or gift cards. Cut the card in half at the fold. On the inside of each half, use a ruler to draw an "X" from corner to corner. Use pencil so the marking can be erased later, if desired. Working first with the front half of the card and with the outside of the card facing down, fold in the top and bottom edges so they meet at the center of the "X", making sure to press the folds to get good creases. Unfold and repeat with the left and right sides of the card. You will now have creases on all four sides of the card forming a rectangular shape. Starting from the bottom edge of the card, cut along the vertical creases to where they meet the horizontal crease at the bottom of the card. Turn the card 180 degrees and repeat at the top edge of the card, cutting the vertical creases to where they meet the horizontal crease at the top of the card. You will have a tab at each corner of the card. 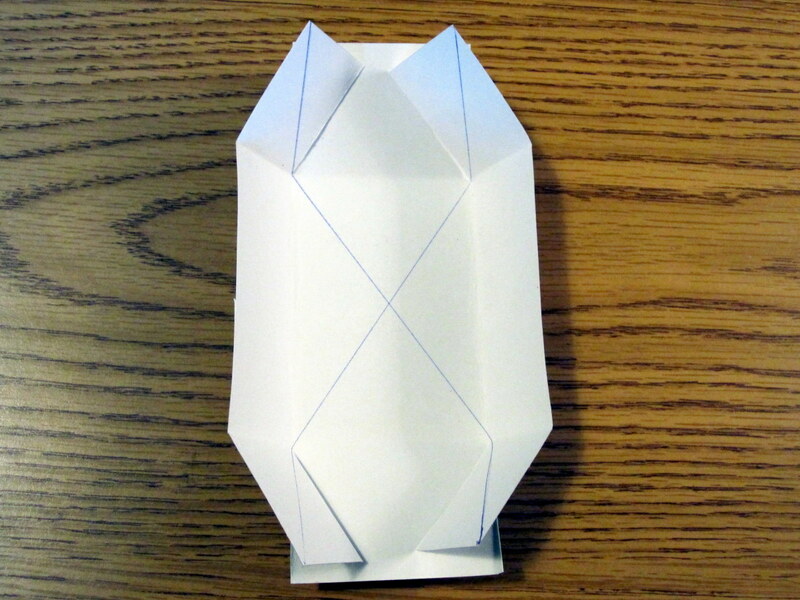 Fold both long sides of the card along the creases to create a 90 degree angle. Fold in the tabs at the bottom of the card toward one another, then fold the bottom of the card along the crease to create a 90 degree angle. 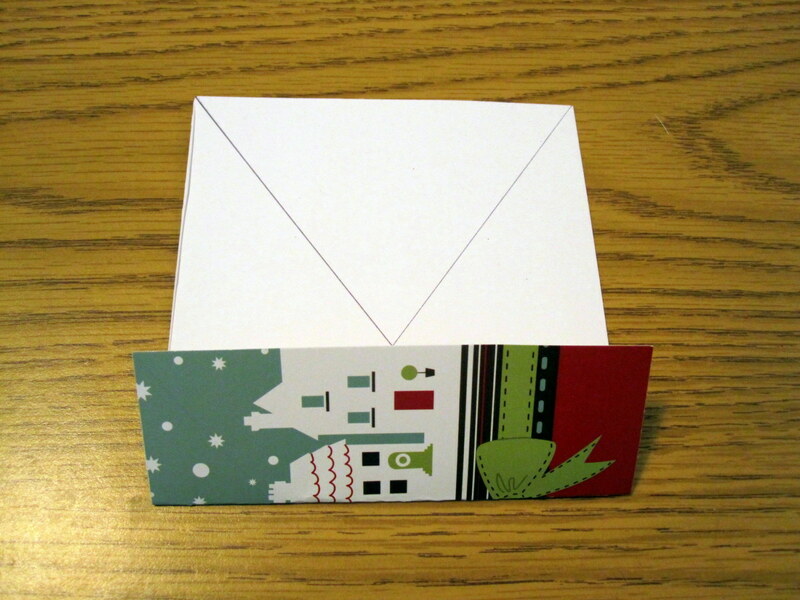 Fold the bottom edge of the card over the tabs and secure with a piece of tape. Turn the card 180 degrees and repeat this step at the top of the card. This will be the top of the box. 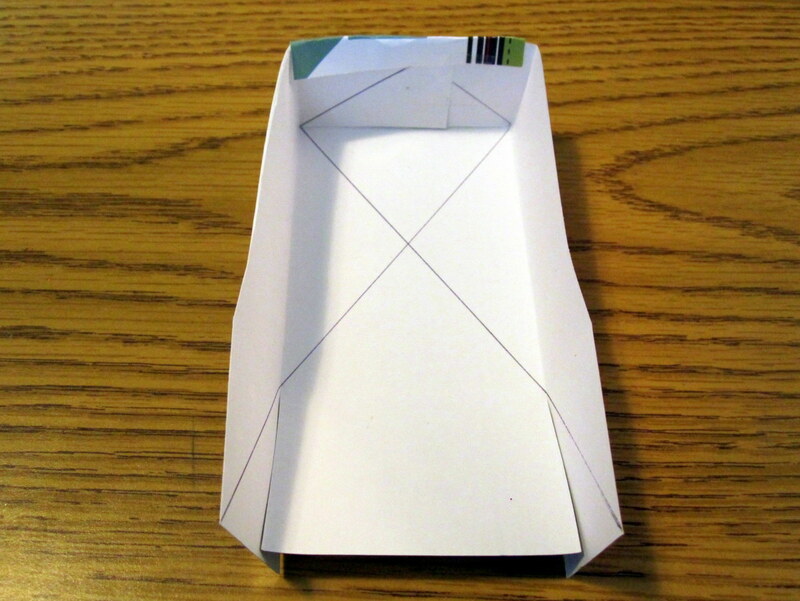 Repeat steps 2-5 using the back half of the card to create the bottom of the box. 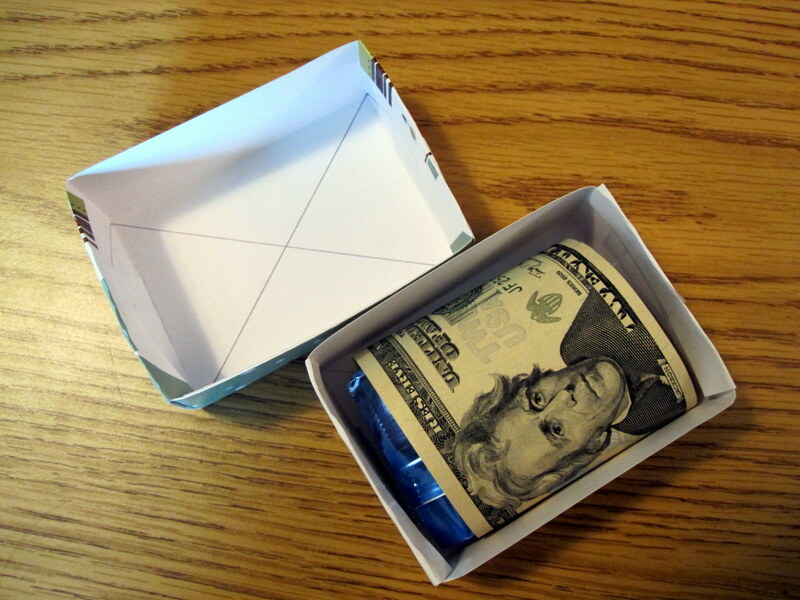 Place a small gift, cash, or gift card in the bottom of the box. If desired, add candy to give the box some additional weight. 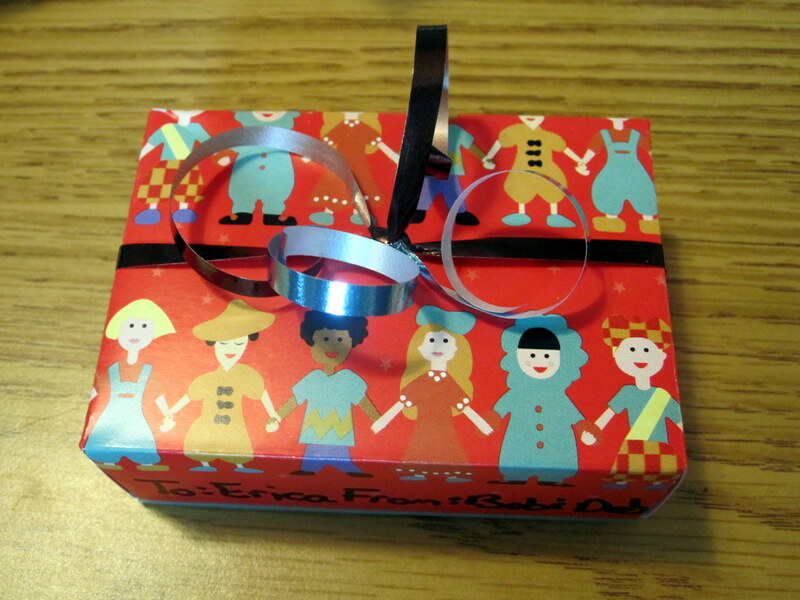 Place the top on the box and decorate with ribbon or other trimming as desired. 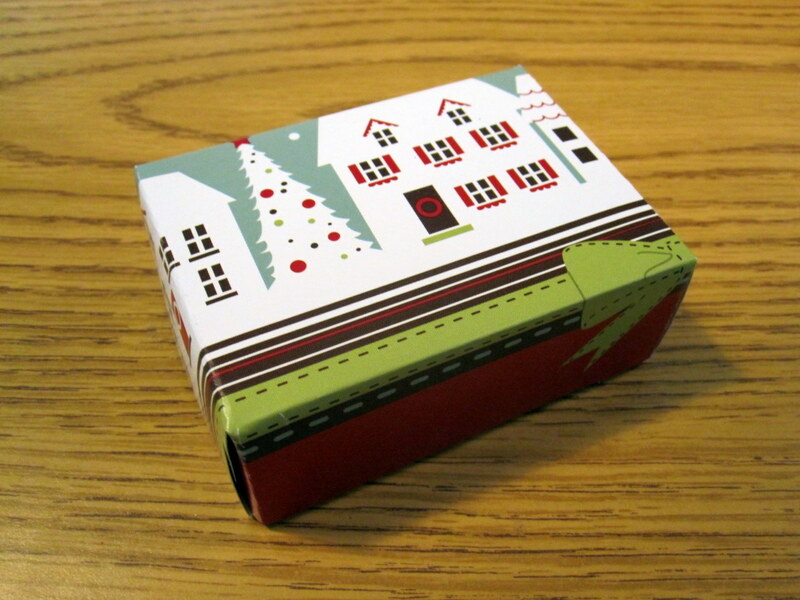 Cut desired designs from old cards and use them to decorate plain gift bags or gift boxes. Use a pinking shears to cut some of the designs for additional interest. Use a glue stick to adhere the cutouts to the bag or box. Cut letters from old cards and string them together to create festive banners spelling out holiday-related phrases like "Merry Christmas" or "Joy to the World." Mount your prettiest Christmas cards in a group of picture frames or a single collage frame and hang for some special holiday décor. These ideas aren't just for Christmas. You can use birthday cards, Valentine's Day cards, and other old greeting cards to create different themes. What do you do with old greeting cards? Save them to reread later. Use them in craft projects. Thank you all for your comments. I hope I have given you some ideas that you can use to recycle your Christmas cards! Back to say congrats for your Hub of the Day award for this creative post. Happy New year! Great ideas for any holiday card! 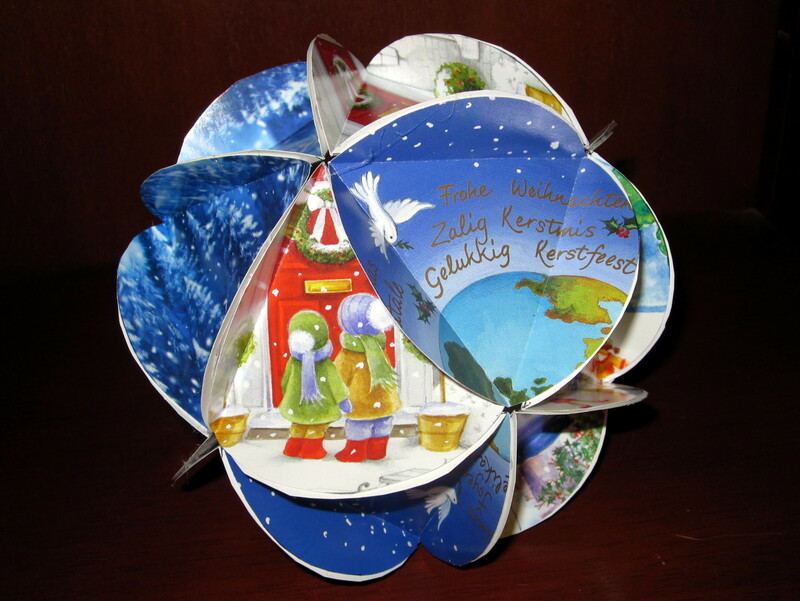 Excellent ideas for recycling Christmas cards! Thanks for sharing and congratulations on Hub of the Day honors! These are such great ideas for recycling cards into useful decorative items. Congrats on your overdue HOD and hope you have a wonderful new year! 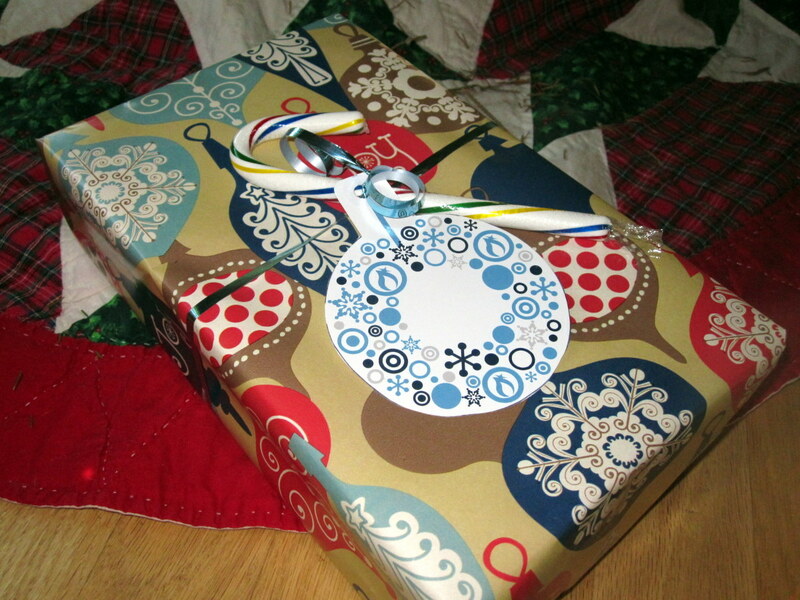 Deb, I love this hub and all the thoughtfulness to recycle Christmas cards for next year's crafts. Love it! I only have gotten two this year. Congrats on HOTD! Congratulation on HOTD. Great article with great ideas. I'm back to say congratulations on HOTD! Great job! Merry Christmas and Happy New Year! Great ideas! I like the gift boxes. Thanks, and congrats for getting a HOTD. Great tip, Georgene! Thanks for sharing it. I really like your ideas, especially the origami box. From making folds in greeting cards for other projects, I suggest using a letter opener, preferably one that is wood, bone or strong bone-like plastic, to rub over the fold to get nice crisp creases. Thank you, Mary, Juliet, Chitrangada, Georgina, Rachel, and Jackie. I love making those little gift boxes out of pretty greeting cards. What a great hub and the comments too! I finally made my hub about what I do with my old Christmas Cards. Really cute ideas for the cards. Especially the one that makes a little box. It's hard to find a box just the right size for gift cards. Thanks and Merry Christmas. Great article. I make my own cards each year and recycle. This has just given me more ideas for this year'batch! Rating, sharing and following. This is so creative and I always keep my greeting cards for any occasion and use them later for decorations etc. This is a new idea for me and I am definitely going to reuse my old cards. Nice pictures and a wonderful hub! Thanks for sharing this, voted up as useful! Wow!!! 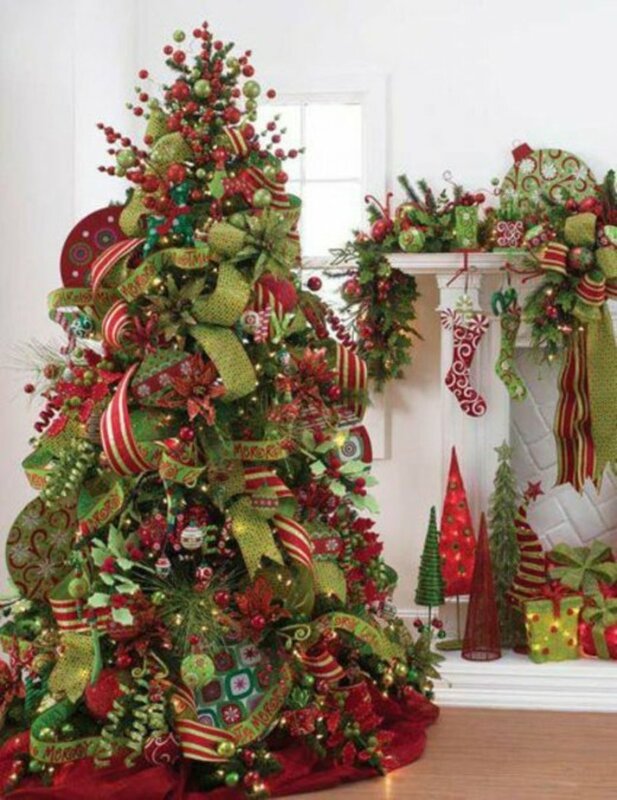 very creative, I especially liked the money gift box, the ornaments are priceless, and a beautiful way to remember the sentiments, and the gifter. Great ideas!! When my children were young, we would make all sorts of craft projects from used greeting cards. Much better to recycle than to throw out the used cards. I like your ideas very much! 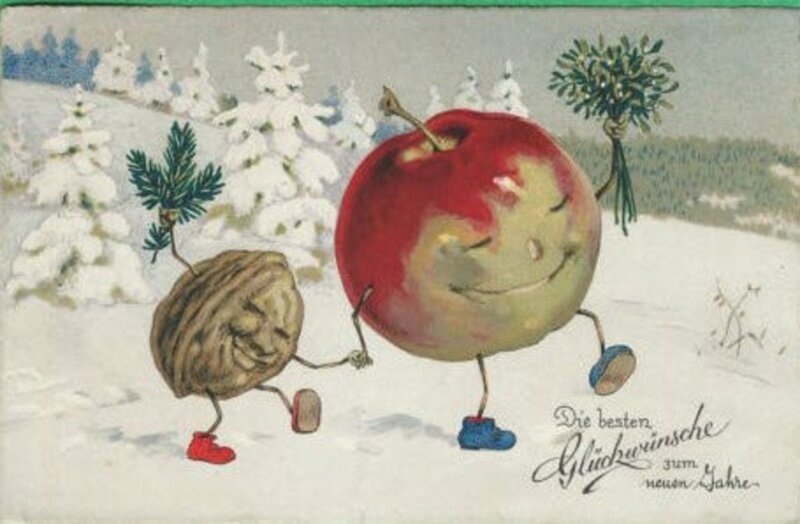 I hope you find lots of way to make use of your old Christmas cards this holiday season. Thanks for reading and commenting, peachpurple. now i know what to do wit my old greeting cards, gift box and tags! Thanks for the pin, Denise. I haven't made the banner myself; I should have done it for my mother's 70th birthday dinner but I thought of it too late. I love your idea of a Happy Birthday banner! That's a great idea for recycling. I approached my Recreational Therapy group with a pile of old cards and was surprised to discover they do not do any crafts with them. Thanks, Rebecca. The 3-D ornament is pretty cool and kind of addictive once you start making them. These are awesome ideas for recycling old Christmas cards. Creative and very green. I especially like the 3-D ornament. Thanks! Thanks, DDE. I hope I gave you some ideas you can use. Great idea and so well thought you accomplished a well informed hub on this useful topic. Thanks, Suzanne. I've been recycling my Christmas cards for years. I hope you enjoy trying some of these projects. I love your ideas, especially the origami decoration at the top! I am definitely going to recycle my old Christmas cards this year. 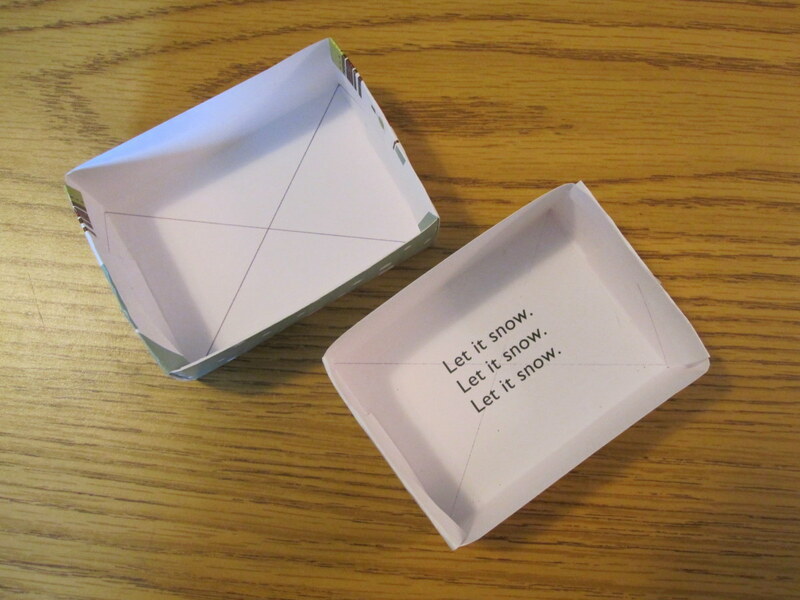 I have made the origami boxes before with wrapping paper, but not with Christmas cards. Thank you! Thanks, Flourish and Kathryn! I hope you both can use these ideas in your holiday crafting this year. These are great ideas. I like reusing items, and I often save cards, so I look forward to using some of these suggestions. Voted up, sharing and pinning. Someone else does this too! You have more ideas than I do when it comes to recycling old Christmas cards, but I keep them for gift tags. I do the same for any other cards (e.g., birthday, samples sent to me in the mail). I especially love that 3-d ornament. Voted up+++, sharing, pinning. Thanks, TopTenChristmas. Glad I could give you some ideas. Voted this up. I always cringe at the idea of throwing my cards away each year. Now I have lots of ideas of what to do with them. Glad I convinced you to save those old cards, vespawoolf! Thanks for the comment. After reading this Hub, I will no longer toss out old cards! I'm especially interested in the origami gift box...very clever. I hope to try it soon. Thanks! Thanks, Denise. Every since I wrote this hub, I've been saving up all of my old greeting cards. My husband and I both had birthdays within the last month and I saved all those cards to do something with, too. I'm thinking a "Happy Birthday" banner to use as a decoration next year. Deborah-what a wonderfully useful hub. 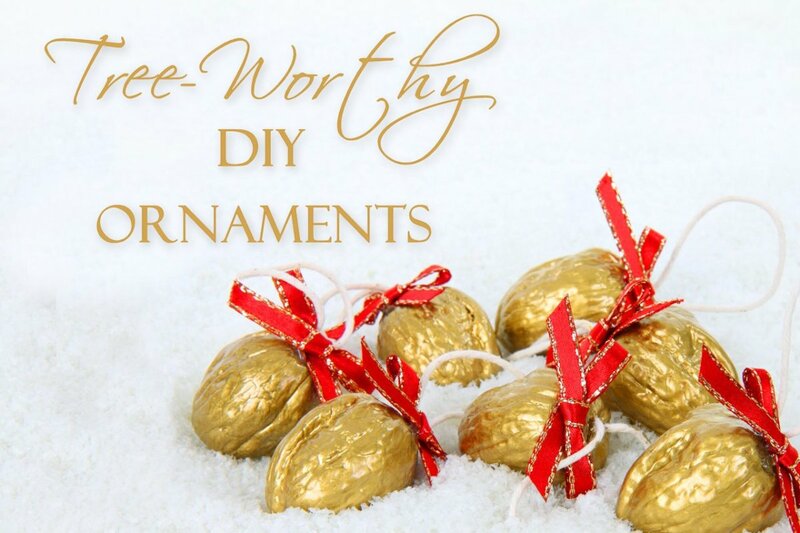 I love those 'ball' ornaments and the cookie cutter ones would be very simple to make. Great ideas here and just what I need. I always hate to trash my cards, yet that is what ends up happening. This will be bookmarked for the Christmas season. Thanks! up/u/a/and sharing. Thanks, Tillsontitan. Along the lines of what you said, I think it would be really fun to create birthday party decorations out of old birthday cards. The ideas are endless, really. Great ideas and directions Deborah. The nice thing is some of these can be used with birthday cards or Easter, etc. A great recycling, hand made bunch of ideas! Thanks, Mary. Hope I've given you a few ideas on how to use those cards. Great Hub! I have a lot of Christmas cards left from Christmas. They are so pretty, I always hate to throw them away. Voted UP, and will share. Hi Peggy. How fun! Thanks for letting me know. Glad the idea worked out for you. Hi Au fait. I am a huge fan of the little boxes. So easy and cute. Thanks for reading and commenting. Peggy, I think the ball is really cool, too. I would like to make a whole bunch and fill a big bowl with them. I think it would make a really unique centerpiece. Thanks for commenting. Teaches, what a great idea to use the cookie cutter idea for Valentine's Day. The heart-shaped ornaments would be really cute. Thanks for sharing. Hi Eddy. I bet you and the grandkids can have lots of fun with these ideas. Thanks for stopping by. There's always next year, Glimmer Twin Fan. Thanks for the comment! Ishwaryaa22, it's great you save special cards to reread later. Maybe you can then incorporate them into a special piece of art to enjoy forever. Thanks for commenting. Thanks, Rose. I'm glad to give you some new ideas. Really like the little boxes and the stars. I love paper crafts because they're so affordable. Voting you up, useful, and beautiful! Generally I keep Christmas cards a while and go back and reread them and eventually recycle them. I can't wait to go and check out how to make that ball featured at the top. It looks unique and pretty. Would be a great conversation piece as well as decoration. I also like the cookie cutter idea. I have used Christmas cards for years in making my own gift tags. UUBI votes and sharing. You have given me some great ideas for this coming Christmas. I think the cookie cutter idea is really nice and I think it would also make a nice Valentine's decoration. Thanks for the ideas. So useful and thanks for sharing ;very handy for those days when the grandkids come to stay. Up awesome and pinned. Wish I had not thrown mine away. These are great craft ideas! A wonderful hub with helpful ideas! Your creations are very pretty! I NEVER threw away cards given by my beloved parents and close loved ones. I piled them carefully in the corner of the shelf in my book-case. Well-done! I hate to throw away cards and am always considering new ideas for recycling them. I love all of your suggestions! Thanks for the detailed photos and information. Thanks, Cyndi. I hate throwing any cards away some I'm constantly trying to come up with new ways to use them. Thanks for the comments, faythe, twoseven, prasetio, and midget. My teenage nieces and nephews all wanted cash this past Christmas but it seems so impersonal to give just money. So I made a bunch of the little origami boxes with old greeting cards. I filled the boxes with candy and stuck the money on top. The boxes turned out really cute and were a big hit with the teenagers. I love all these! And a good way to reuse the ornaments too. Thanks for sharing, Deb! Very inspiring hub. I got a new idea after reading this hub. thanks for writing and share with us. Voted up! How fun! I was just staring at our wall of cards wondering what to do with them. Especially love the box idea. Voted up and sharing! You got me on that one, calculus-geometry! I had to look it up. : ) Thanks for teaching me something new. Thanks, Bill. I don't send cards either but I always seem to get a bunch from people I see regularly. It seems like kind of a waste, that's why I always try to find ways to put them to good use. Thanks for the comment, pin, shares, and votes, Susan. Glad I got this out before you got rid of your old cards! Love the icosahedron in the top photo! I really like all of these ideas and I have tons of old cards I could do this with. Great Hub!